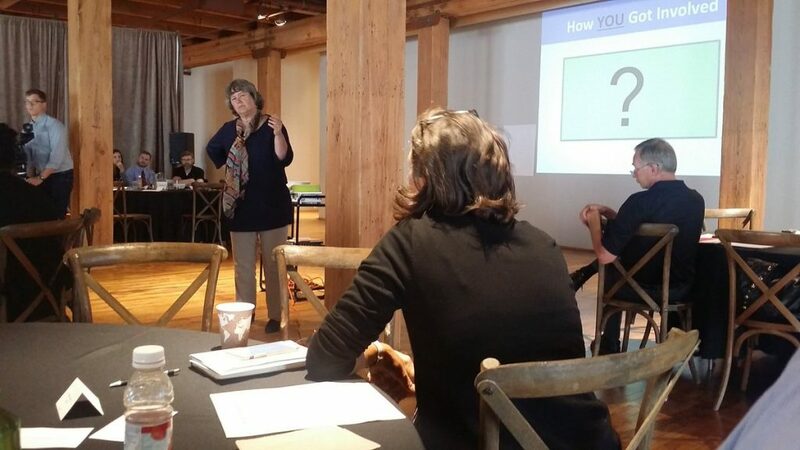 1.First things first, ask yourself -”What response do you want to get from your community? If you want people to take action towards your agenda, you have to encourage a response that is both real and measurable. Determining how you want your community to respond will ultimately drive your recruitment efforts. Meeting face-to-face with members of your community is essential. Listen to their visions and pay attention their needs.When advocating for energy best practices, you should never assume why a person would or would not be interested in your message. Instead, use face-to-face meetings as an opportunity to engage and connect. Remember that when entering a community, you are a guest in someone’s personal space. Speak on a personal level. People never want to be lectured to – especially on a Saturday morning on their front doorsteps. It may take some more time and practice to step outside of this comfort zone and dig deeper in the conversation. That’s okay! Start by initiating the conversation with topics that will resonate with people and truly make them want to open up. Get right to it. Throw out the “yes/no” questions and instead ask questions that require a deeper response. People love sharing their self-interests, so give them time to speak and think out loud. Ultimately, the goal is that they realize their own personal connection to the matter at hand. It all comes back to the power of story. Before heading into the community, think about what stories you can share that might help a person better connect with your mission. 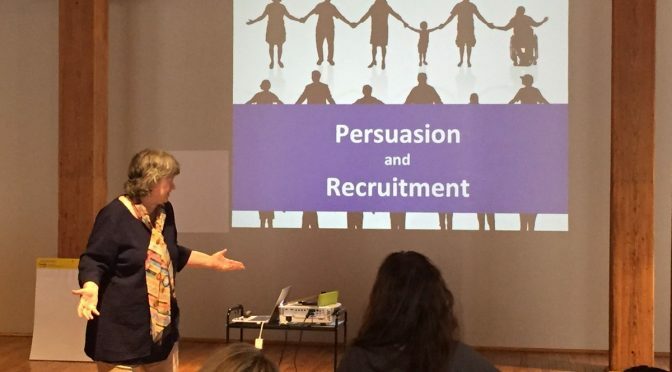 Practicing the art of persuasion leads to recruitment. Be sure that the stories you are genuine and real. You will risk not recruiting members if they can tell you aren’t speaking from a place of sincerity. These six great tips are helping us get a new season off to a great start but, most importantly helping us to keep our community first. For more information about Midwest Academy’s mission and work, check out their website at www.midwestacademy.com/.